Sanders Hyland Corporation recently completed work on the Dream Hotel in Nashville, TN. 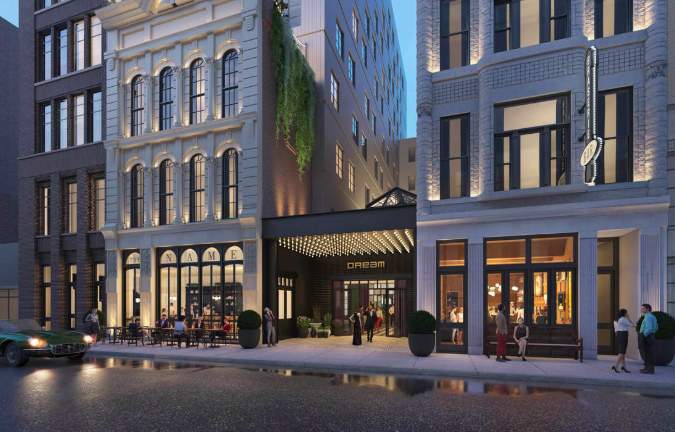 In partnership with a local Nashville ownership group and award-winning interior design firm Meyer Davis Studio, Dream Nashville reimagines two historic landmarked buildings steeped in a rich and colorful heritage while maintaining the celebrated history of Printer’s Alley. No Replies to "Dream Hotel in Nashville, TN"